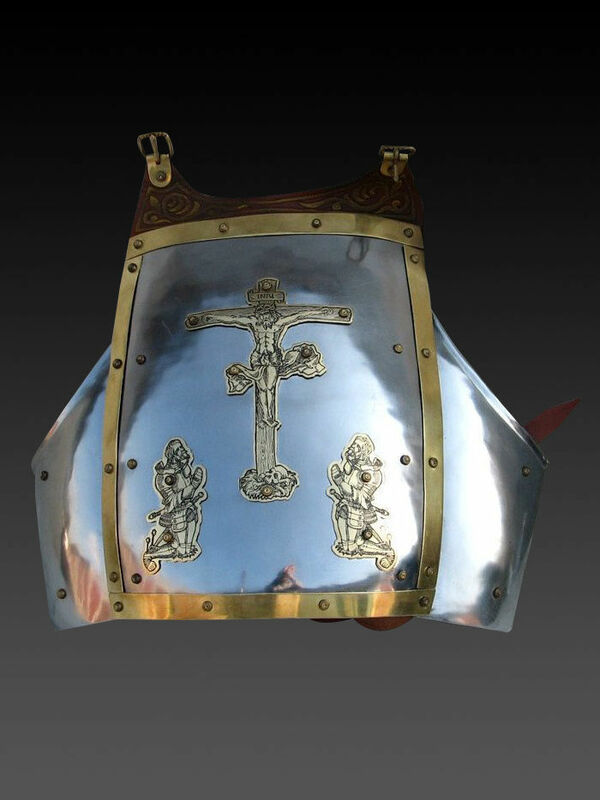 Breastplate of the XIV century is an early version of full-plate metal torso protection. 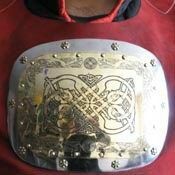 Such chestplates were usually worn over padded underarmor and hauberk for complete body defense. This model consists of seven separate segments, connected with rivets. Front part is roundish and neckline is straight. Leather shoulder straps allows comfortable wearing. 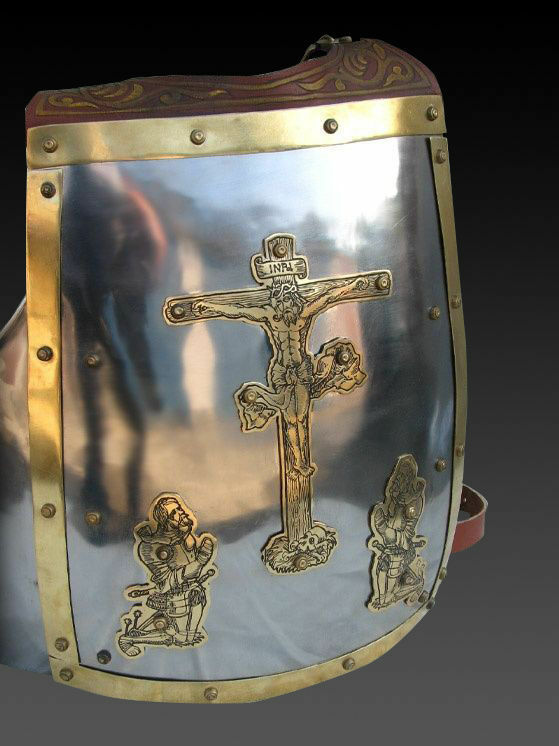 You may also like these models of single-piece chest armor: one-piece breastplate, Churburg-type breastplate of the XIV century. 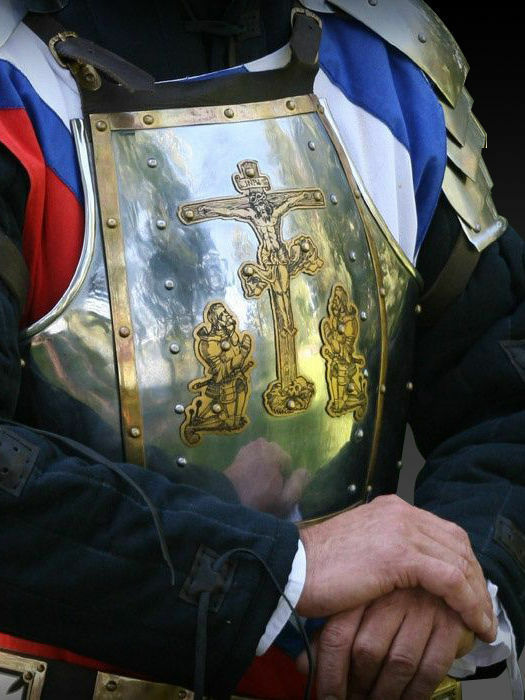 Cuirass of the 2nd part of the XV century is made in the style of Italian armor of those times. Roundish torso protection consists of two halves: front and back one and segmented tassets for hips protection. 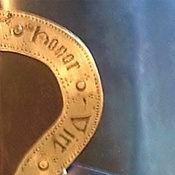 Halves are connected together with leather belts and buckles; tassets are attached to the lower part of cuirass with the same belts. 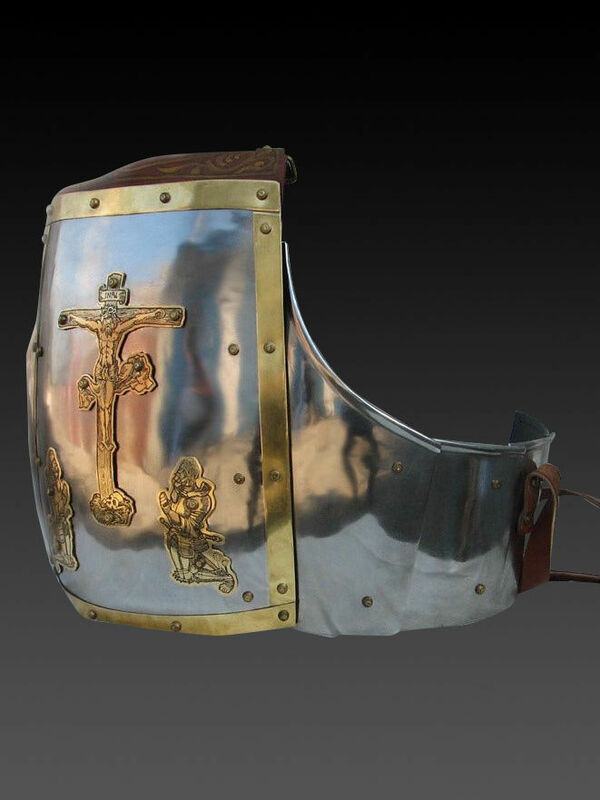 We recommend to wear this medieval plate armour over the thin padded doublet or gambeson for better comfort and protection. 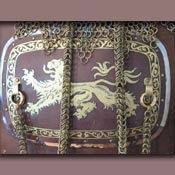 Our artisans manufacture such Italian-style cuirass by personal parameters of customer. You can use this custom body armour for: SCA HEMA Larp Stage performances Medieval festivals Reenactment events Base price includes following options: Cold-rolled steel 1.0 mm; Satin polishing; Brown leather belts; Steel nickel-plated buckles; Steel rivets; No decoration; Painting inside Main photo shows authentic combat cuirass with following options: Cold-rolled steel 1.5 mm; Blueing as finish treatment; Brown leather belts; ..